In January of 2015 the Australian scientific research ship Aurora Australis returned from the Totten Glacier in East Antarctica. The goal of the expedition was to determine why this glacier has thinned dramatically over the last 15 years. Their research showed that warm ocean waters were melting the glacier from below. Changes in deep ocean circulation due to climate change are implicated. Their finding is interesting given that scientists have long referred to this and other key glaciers as the “weak underbelly” of Antarctica with only a few glaciers holding back most of the Antarctic ice sheet. If they disappeared sea levels would ultimately rise by more than 60 metres. When and if this will occur is not known; however, melting Antarctic ice presently contributes around 0.5mm, or 15%, to the annual sea level rise of 3.2mm and this has increased fivefold over the last decade. The collapse of some Antarctic glaciers have recently been declared unstoppable. Humans are unlikely to ever visit such an inhospitable place as the underside of a glacier, but perhaps we can imagine what it might be like. 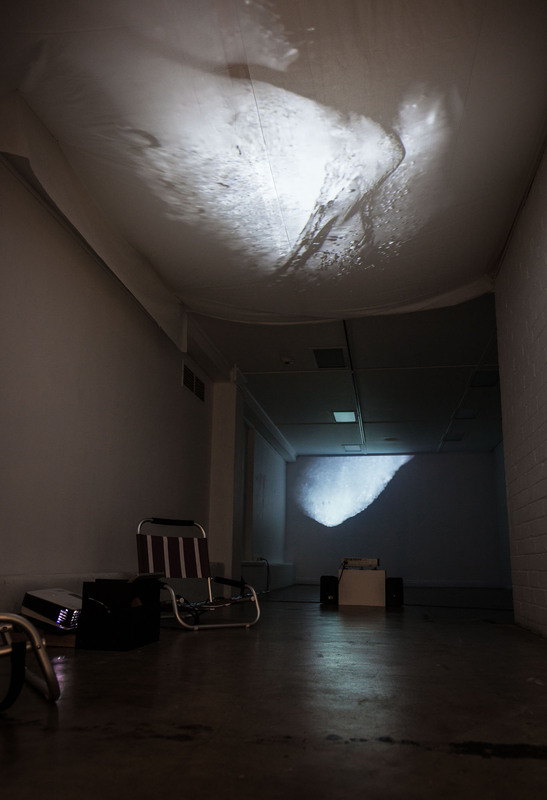 Exhibited at Watt Space gallery from the evening of March 5th 2015 as an installation comprised of the underbelly wall projection and accompanying ceiling projection and interactive camera for exploring melting ice. 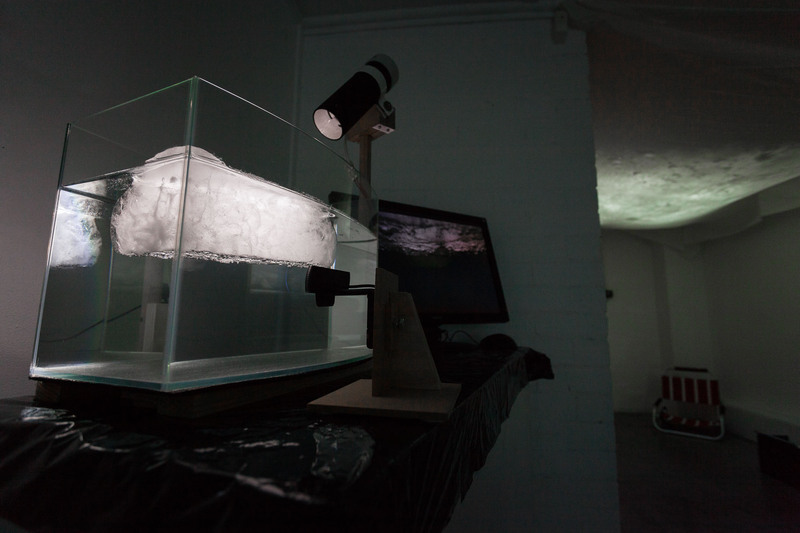 underbelly – installation documentation from Andrew Styan on Vimeo. underbelly (ceiling projection) from Andrew Styan on Vimeo. hygroscope by Gallery Six, licensed under a Creative Commons Attribution-NonCommercial-ShareAlike License. The coal exported through Newcastle contributes almost 1% of the world’s greenhouse gas emissions.